A young woman in China may have posted her final moments of life on Instagram. The unnamed woman, whose account is jojostai1012, uploaded a series of pictures that were directed toward her ex-boyfriend. One of the messages, when translated, reads, “I will haunt you day and night after I'm dead." She then posted a photo of some burning items, and a picture of her feet hanging off the ledge of a building. This was her last picture. It's not completely clear what happened next, but Chinese forum Mop shared a photo of what appears to be a woman's body lying in a pool of water in a carpark with police investigating the scene. The tragic story began about two weeks before when the young woman started posting photos with worrying captions detailing her devastation at a recent break up. Instead of raising the alarm and potentially saving her life, her followers simply liked the pictures or wrote shallow comments underneath. In a striking display of the power of live video, Abraham K. Biggs committed suicide in November 2008 while broadcasting from video site Justin.tv. The 19-year-old Floridian was apparently egged on by commenters on Justin.tv and fellow forum users on bodybuilding.com. It all started when Biggs told users on a bodybuilding site he would kill himself that night and invited them to watch the live video. Those monitoring the web forum ignored his message because they assumed it was a joke, but others posted insults and even encouraged him to kill himself. Eventually as many as 1,500 signed on to see the desperate act – with some urging him to hurry up – apparently believing it a hoax. Biggs overdosed on pills while on camera and appeared to be breathing for hours until watchers realized he might be serious, at which point they alerted the police. A 31-year-old woman in Taiwan was running live commentary to about nine friends on Facebook while she was committing suicide live on the internet. She was upset because her boyfriend failed to show up on her birthday. While friends online with her were pleading with her not to commit suicide, none of them alerted the police. The woman, Claire Lin, inhaled poisonous fumes from charcoal fire to kill herself. Her final words were in her post on the social networking site to her friend: "Too late. My room is filled with fumes. I just posted another picture. Even while I'm dying, I still want FB [Facebook]. Must be FB poison. Haha." In December 2013, a disturbed young man shocked North America after he tried to kill himself by setting his room on fire while 200 people watched on an online message board. The 20-year-old who identified himself only as "Stephen" announced on the anonymous 4chan website that he intended to commit suicide and broadcast the event for others to see. Disturbingly – and unsurprisingly – scores of online users signed up to watch and helped the man set up the video stream for the "an hero" – online slang for suicide attempt. After 200 users – the maximum allowed on Chateen – had signed up to his video stream, Stephen swallowed a handful of pills, drank vodka and lit a fire in the corner of his room. As the camera rolled, he crawled under the bed and typed: "#imdead #omgimonfire" and "I'm f*ck3d." The troubling video, still available online, shows firefighters pulling him out of the smokey room. A number of viewers even encouraged Stephen during his suicide attempt, while others clamored to view the horrific scene. However, Stephen wasn't dead. The video also captured firefighters entering the room and pulling him out. In 2010, Simone Back, 42, posted a final message Facebook at 10:53 pm on Christmas Day saying: "Took all my pills be dead soon bye bye everyone." Instead of being worried, some of her 1,048 Facebook friends posted messages calling her a liar and one even said it was "her choice." Seventeen hours later, police broke down the door of her flat in Montague Street, Brighton, and found her dead. While some Facebook friends from out of town begged online for her address and telephone number so they could get help, none of those who lived closer did anything to help. 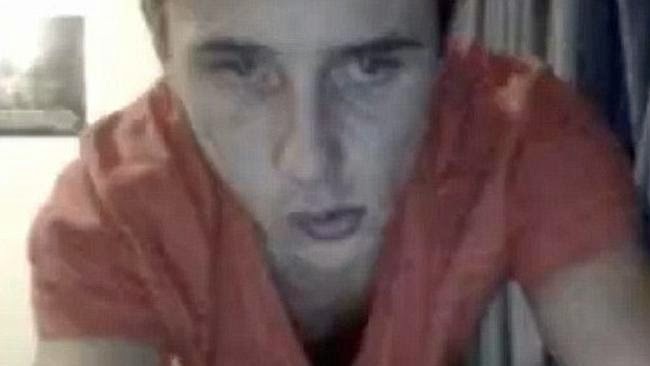 In October 2010, a 21-year-old Swedish man killed himself and broadcast it over the internet via his webcam feed, after posting to a message board that he had swallowed some painkillers and was going to hang himself. Marcus Jannes, a student from Järna, Stockholm, posted to the Mental Health Problems forum of Sweden's Flashback message boards using the newly-registered username "LurifaxFlux". He stated that he was going to hang himself, adding that he had already swallowed 100mg of dexofen and 1500mg of paracetamol. He said that he had set up a webcam to record the event, and would post details later of a FTP server for people to watch. People responded to his post almost immediately. Some offered messages of hope. However, others posted messages saying they didn't believe him, wishing him luck with his attempt, and calling him an attention whore and a troll. Some even offered advice on the best way to hang himself: "I recommend you do it from a height that you can jump off so you are guaranteed to break your neck." At around the same time, he also updated his Facebook status to say life was "just too difficult" and that he was going to kill himself. At 1:06 pm, Jannus posted the FTP server URL and login details. At this point, people who logged on to the server found a series of still images taken every two seconds, showing a young man dressed in sweatpants and t-shirt, in his apartment, hanging network cable from a doorway. Five minutes later, the images show that Jannus stepped out of the shot, and at this point he posted another message to Flashback. "Alright, let's do it," he said. The next series of images show him walking back to the cable and hooking it around his neck. He slumps to the floor, and his body begins shaking while his head and arms turn dark purple until he stops moving. His skin color then lessens to a pink-red shade as his limp body hangs motionless for a number of minutes. On the message board, people start to realize the seriousness of the events: "holy crap, he has done it already", "okay it's getting nasty", "this is quite sick. Not okay at all". At one point., a user asks, "Did someone call the police?" The Södertälje police stated that they were first alerted to the incident at 1:44 p.m. At 2:06 p.m., the image feeds show two police officers charging into the apartment and releasing the cable from around Jannus' neck. Frances Medley, 44, a leading light of the arts world who suffered from multiple sclerosis wrote a suicide blog before killing herself. The former acting chief executive of the Arts Council in Wales, instructed friends to publish her final post, entitled "A sophisticated sign-off," in which she explained that she was terrified at the prospect of her condition worsening. She had been left in great pain by the disease and felt emotionally and physically exhausted by the time of her death in September 2013. Miss Medley killed herself using a powerful drug which she bought online after reading about it on a euthanasia website. She was discovered dead at her home after neighbors became worried they hadn't seen her for two days. In February 2014, a video was posted online showing a British man – Abdul Waheed Majid– about to carry out a suicide bombing in Syria. The 41-year-old from Crawley, West Sussex is feared to have blown himself to bits after driving a lorry packed with explosives through the walls of Aleppo prison in the war-torn country on February. The footage that emerged on Youtube shows Majid next to a large armored truck bomb that was driven into the walls of the prison. His family said they believed he was in Syria for humanitarian purposes.